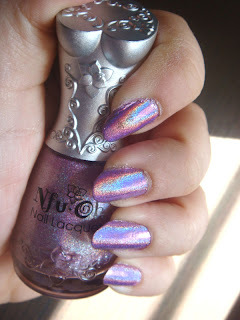 NfuOh #64 does it get more holo than this? how are you all enjoying your Friday? Today I have a fantastic holo to share. 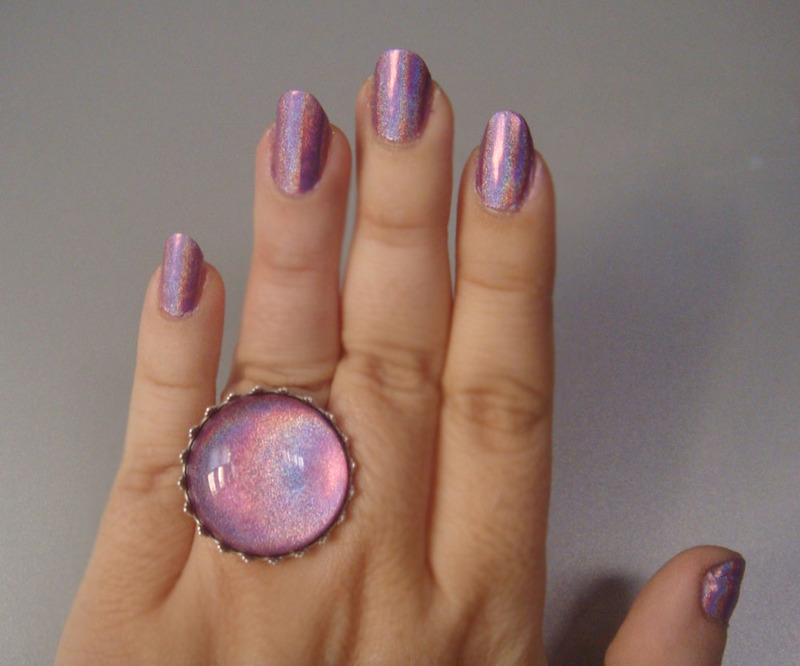 It's the infamous NfuOh 64 and it is one of the most spectacular holographic polishes I have ever seen. Two coats over NfuOh Aqua Base (which does wonders for the application of holographic nail polishes). 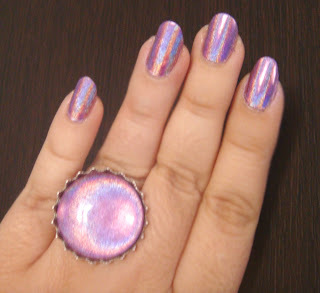 You know that generally I love holographic nail polishes and this is definitely one of my favourites. It looks fantastic under any lighting and changes so many colours that my nails look like rainbows while wearing it. Also let me remind you of my giveaway, that is ending in a few hours. So now is your last chance to enter! Ohh, it looks awesome! I have just bought it and I´m waiting to get it. Stunning! I don't any Nfu Oh's =(, I'll have to fix that soon. Amazing! I totally love it! this is beautyfull and the package is fantastic...can you tell me where I can find it?thank you! wow! that's enchanting! If I have this on my nails I would look at them every 2 seconds! You can also enter my giveaway on my blog!! 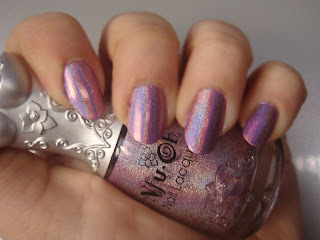 It's a fabulous holo indeed. For those interested you can get these at FabulousStreet. OMG that's gorgeous! I love holos and the color is so pretty!